AXPONA, the new CES? 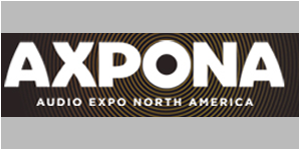 The buzz from exhibitors is that AXPONA has become not only relevant in the world of high-end audio shows, but the leader in size and scope that surpasses any other audio show in the United States. 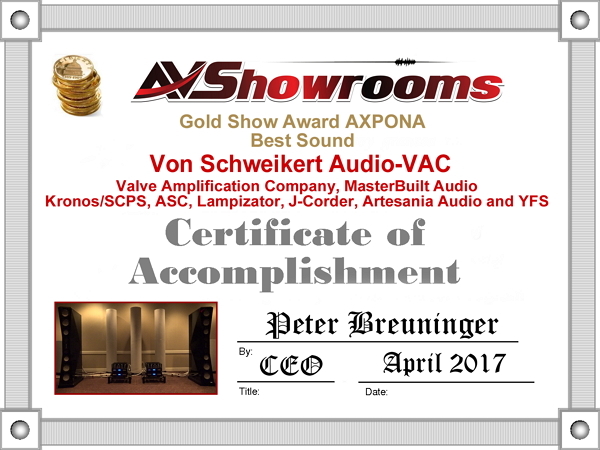 And, because of its continual growth, AXPONA is moving to a larger venue in 2018, the Renaissance Schaumburg Hotel & Convention Center. This year’s show was a cornucopia of audio gear, head gear, ear gear. 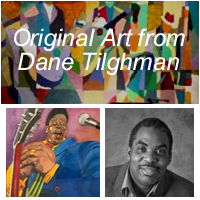 Source material from some of the industry’s leading recording engineers was available for sale. Peter and I were fortunate enough to score some great sounding albums from Tod Garfinkle of MA Recordings. There were concerts packed to the doors. Raffles, seminars, night parties and so much more throughout the weekend, there wasn’t a moment left for anything resembling boredom. 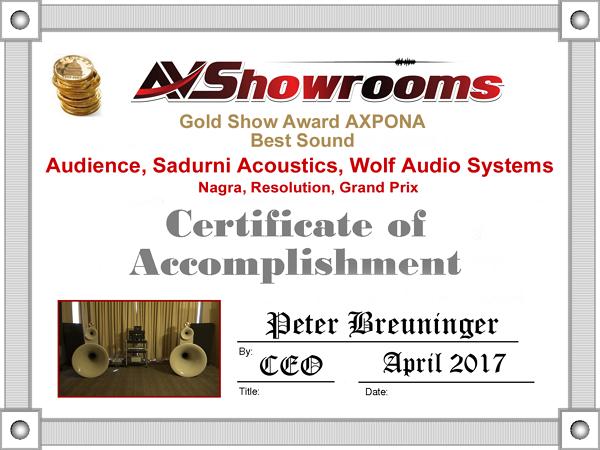 Audience,Sadurni Acoustics and Wolf Audio Systems with Grand Prix, Nagra and Resolution: All that is good about horn loudspeakers is what was delivered by Sadurni Acoustics. We played a track from the album “Conversations” and the piano and voice were delicately detailed and precise. The sound was palpable, organic with pinpoint speed. This definitely was a room where the synergism of the various components was at play. Aurender, GamuT: The sound was huge, coherent and packed a significant punch in the bass. As I’ve said in the past, the little GamuT RS3i standmount loudspeakers are unlike any other small sized speakers I’ve heard over the years. Not inexpensive, but worth every penny. Truly, you do not have to sacrifice great sound when opting for GamuT’s smallest in the line. We listened to “Dead Can Dance- Live” and the magic created by holographic imaging and perfect decay was as good as it gets. 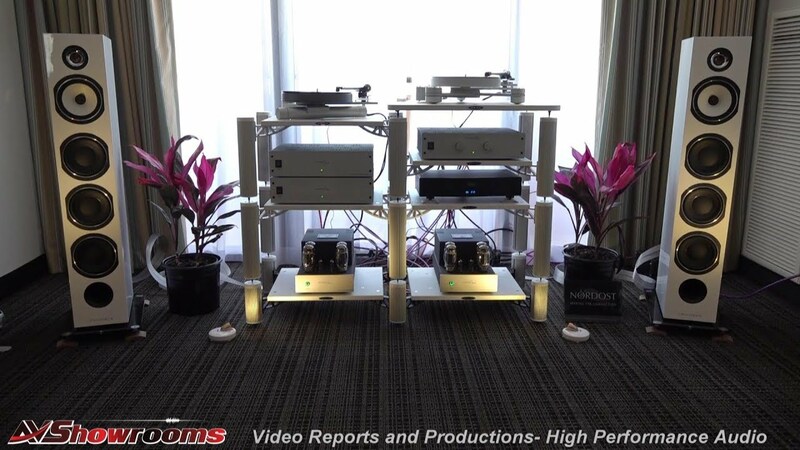 Aurender’s music server and GamuT speakers and cables combined beautifully. 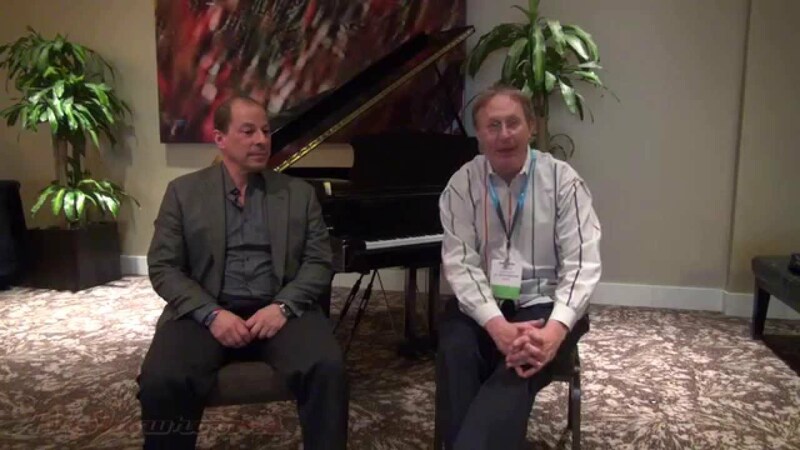 Emerald Physics: Walter Lieberman, owner and proprietor walked us through a system that, in its entirety, costs approximately $10,000. To say that it’s a “good bang for the buck” would be excluding it from competition with other systems that cost up to ten times the amount. 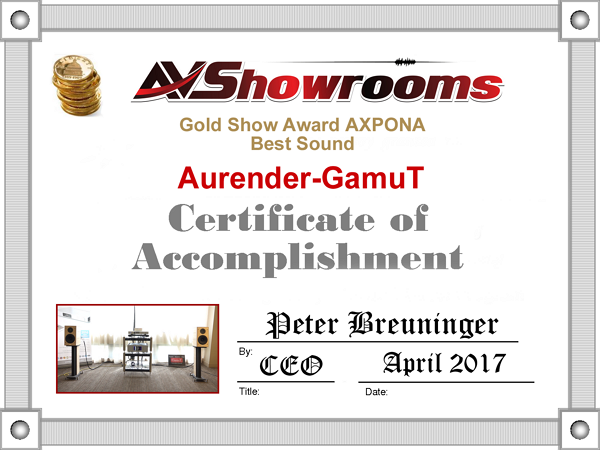 To my ears, EP played in the big league and, as a result, wins an AVShowrooms’ Gold Show Award. We listened to Cassandra Wilson’s “Dance to the Drums Again”; the sound was detailed, fast, clear and well integrated. Musical and realistic. 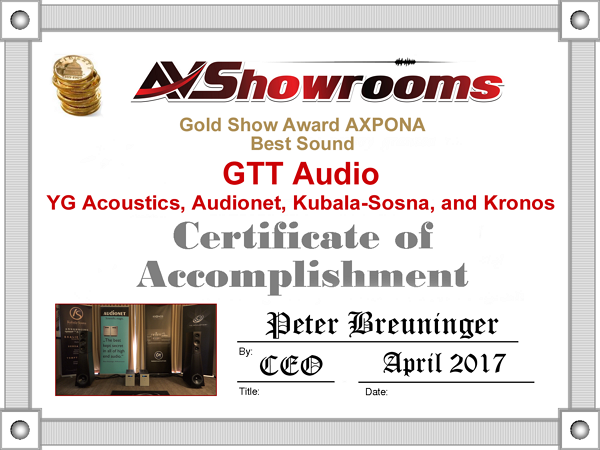 GTT Audio: YG Acoustics Sonja 1.2 loudspeaker, Audionet electronics, Kronos Pro TT with the SCPS-1, Kronos Black Beauty tonearm, Air Tight Cartridge and Kubala Sosna’s new, top of the line, cables “Realization”. 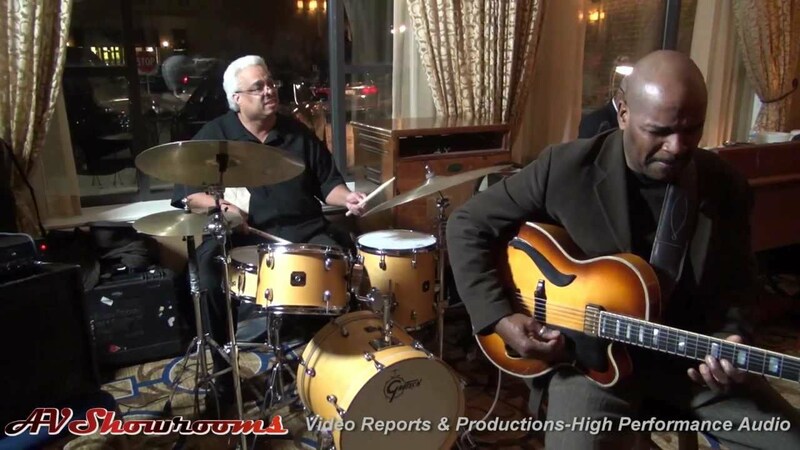 I’ve heard this combo a number of times, but something brought the sound to a new level. What was different? The new cables. Combine this with expert setup of state-of-the-art equipment. The track “Fly Away” from Bisson/Belanger’s album, “Conversations” was perfect. The vocals and the attack of the piano were like I’ve never heard them before and I’ve listened to this track many times. The sound was clear, emotionally involving, lightning fast with the vocals and instruments imaging perfectly in the room. Extremely realistic coupled with organic layering. No small feat. 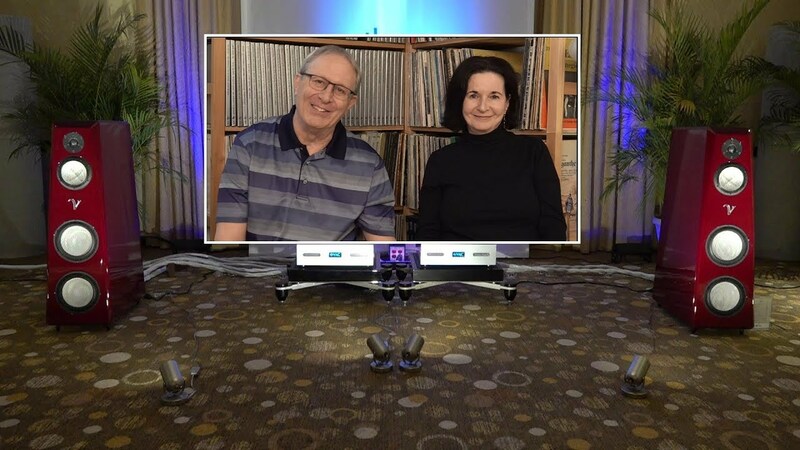 High Fidelity Cables: Rick Shultz, inventor, creator of cables, power conditioners, headphone modules and various accessories employs a magnetic conduction technology that succeeds. 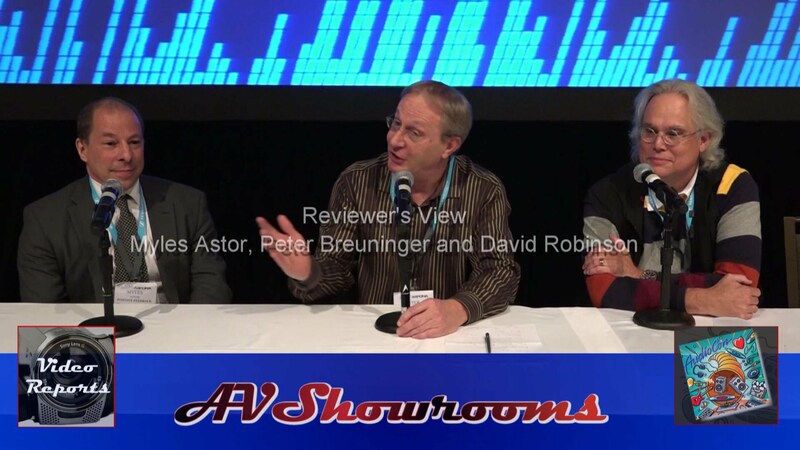 Now, at AXPONA, Rick introduced more affordable products trickling down from his costly R&D. Great stuff. Rick brings his own audio system to the show every year and this year the sound was explosive and detailed without any hard edges. Some of the best sound at AXPONA 2017. 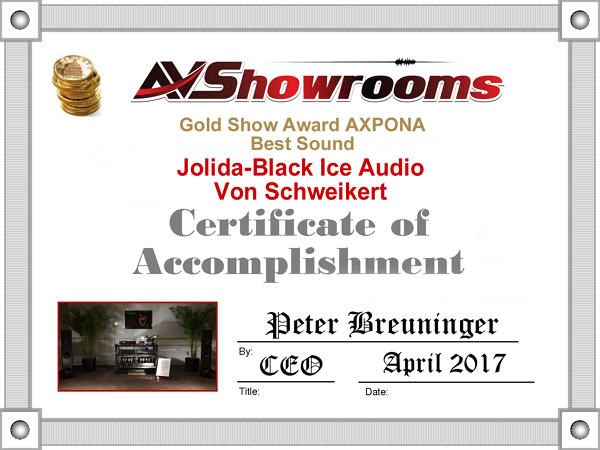 Jolida/Black Ice Audio with Von Schweikert: Slowly morphing from the brand name Jolida to Black Ice Audio is not the only thing new with the brand, Jerred Dunkerson and Jim Fosgate continue to collaborate to produce lots of new products introduced this year at AXPONA. Check out the video, soon to come, for product details. Of the many Jolida rooms I’ve entered into over the years, this one was one of the best sounding. Obviously, all of the work and team efforts have paid off. 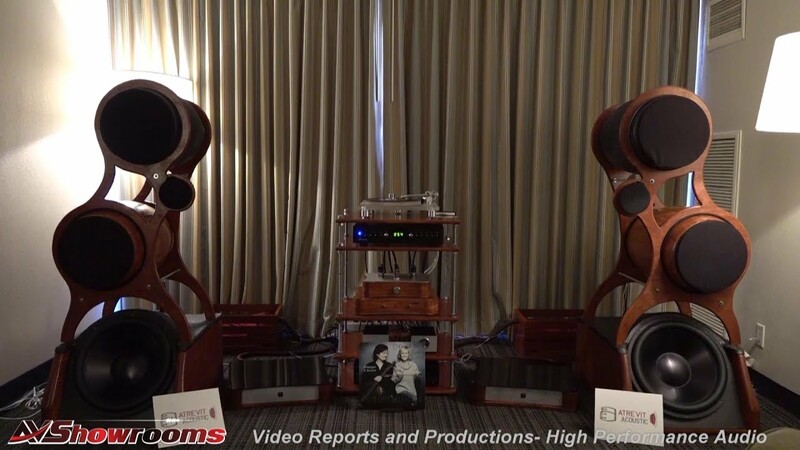 The sound with the Von Schweikert E-3 MkII loudspeakers was dynamic and with depth. We listened to our Equinox CD recorded by Soundkeeper Recordings and no doubt, I could easily have stayed longer for more listening but my schedule does not allow for such a luxury. Modwright, Daedalus, WyWires The sound was nothing short of spectacular with tremendous finesse and refinement. 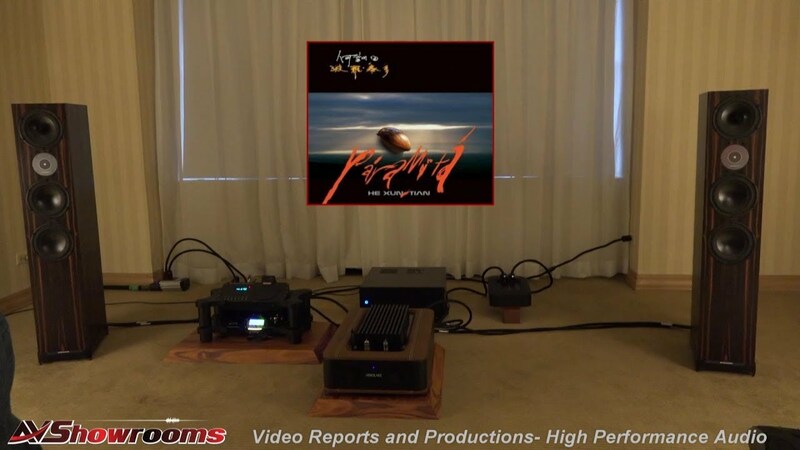 Dan Wright introduced his line of electronics (see upcoming video) which included his proud new baby the Ambrose One class-A reference tube pre-amp and the tube modified Oppo Sonica DAC/Streamer. 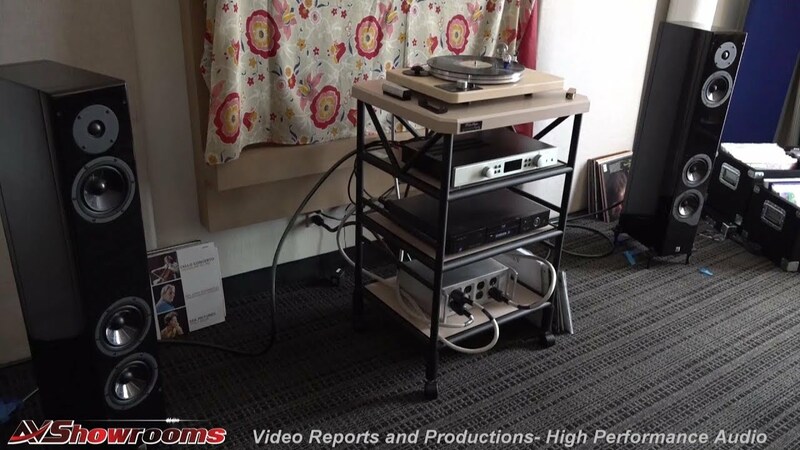 We listened through the beautiful Daedalus Apollo floorstanding speakers a Dead Can Dance track on a VPI turntable. The room was wired up by Alex Sventisky of WyWires. Yet, another room I would like to have spent more time in. Odyssey Audio with Magnan Audio Cables: “Blew my Mind” is what comes into my head when I think of our listening session in the Odyssey Audio room. The term popped into my head, well, because of my age, and the fact that Santana’s Abraxas is supposed to blow your mind without blowing out your eardrums. This is exactly what happened. The sound was layered, involving, dynamic and all around me. I was in a circle of sound. Really great big exciting sound. Great sound for little money (by audio gear standards, that is). Except for the $20,000 plus TT and a cartridge (price?) which tells me that if you have expensive tastes in turntables you don’t need to blow another wad on everything else. Synergistic Research: Another effective demonstration from proprietor, Ted Denny. When the PowerCell 12 UEF SE was turned on both Peter and Kemper Holt agreed that the bass was deeper with greater impact and the overall presentation was more realistic. These demos prove the effectiveness of Synergistic Products. Many people have commented on our videos that the tests reveal the differences of the before and after effects of these outstanding products. VAC/Von Schweikert Audio with The Kronos turntable and the SCPS-1, MasterBuilt Audio and ASC TubeTraps, Lampizator, J-Corder, Artesania Audio and YFS: Words cannot express what I felt when listening to Roger Waters “Amused to Death” on this system with the ULTRA 11 Von Schweikert loudspeakers. It is the best of show. It is the best of any room at any show I’ve ever attended and I have been in thousands of exhibit rooms over the years. The experience was otherworldly. The sound was big and detailed – organic; the room had a heartbeat except there was no room, everything disappeared, like having the best seat in the house at a venue with excellent acoustics. I’m usually not a big fan of large loudspeakers at shows because they are very hard to set-up properly in a less than adequate environment with little time to get things right, but this was an achievement of the first order. Damon, Kevin, Leif, Art, Kronos and MasterBuilt take a bow to yet another round of applause for providing us listeners with only the very best.